New Urban Arts is hiring for two VISTA positions, and we have descriptions for both job positions below. New Urban Arts seeks an associate with a strong interest in youth development, arts education, and innovative pedagogy to assist with communications, writing and content creation, and database administration. New Urban Arts is a nationally recognized community-based art studio and gallery for high school students and emerging artists. Since 1997, we have served more than 3,000 Providence teens and 175 artists. Each year, our public programs reach over 3,000 visitors and participants. Our mission is to build a vital community that empowers young people as artists and leaders to develop a creative practice they can sustain throughout their lives. New Urban Arts seeks a self-directed and highly motivated associate with strong written and verbal communication skills to assist New Urban Arts in developing and implementing a comprehensive communications plan. Associate will report directly to the Executive Director and will work in close collaboration with New Urban Arts’ Director of Development, broader community, staff, volunteers, youth participants, and board of directors. New Urban Arts is a collaborative work environment, and all staff should expect to support each other’s work and participate in high level conversations about New Urban Arts’ mission, vision, values, and pedagogy, as well as trends in youth development and arts education. Work with executive level staff to develop and implement a comprehensive communications plan for development, programs, public events, and general news. Manage New Urban Arts’ web, email and print presence, including content creation for website and social media, creation of monthly e-newsletter, annual physical newsletter and other print publications, and cataloguing photos and press coverage. Coordinate and implement public relation strategies, distribution of press releases, and event listings. Start Date: July 30th VISTA Pre-Service Orientation in Philadelphia. August 2nd start date at New Urban Arts. To Apply: New Urban Arts is accepting applications through May 11, 2018. Please submit cover letter, resume, and (2) writing samples to info@newurbanarts.org. Any selected candidate will be required to submit an application (including two completed references) to myAmeriCorps and be accepted for service by VISTA. New Urban Arts seeks a rockstar youth engagement specialist and database superstar. NUA is recruiting a dynamic VISTA to support and build infrastructure for an amazing comprehensive after school enrichment program at Central High School. New Urban Arts is a nationally recognized community-based art studio and gallery for high school students and emerging artists. Our mission is to build a vital community that empowers young people as artists and leaders to develop a creative practice they can sustain throughout their lives. In 2017/2018 New Urban Arts expanded programming into Central High School with the NUA Knights after school program. NUA Knights offers over 40 after school programs to students led by teachers, staff, community partners and other nonprofit organizations. Over 600 students participated in the first year of programming. New Urban Arts and Central High School seek a self-directed and highly motivated VISTA member with strong written and verbal communication skills to assist in the implementation of the afterschool program, including establishing and maintaining systems for day-to-day operations, data tracking, attendance, demographic reporting, student recruitment, scheduling activities, and managing communication with students, parents, school administrators, and New Urban Arts’ staff. The VISTA will be stationed at Central High School and will report directly to the Central Site Director. They will also work in close collaboration with the New Urban Arts and Central High School community, staff, volunteers, and youth participants. Qualifications: General Skills, Computers/Technology, Writing/Editing, Communications, Team Work, Communications, Proficiency with MS Office Suite and familiarity with databases a plus, interest in working with high school students in a public high school setting, must be able to communicate with both students and administrators, discretion and the ability to handle sensitive information a must, and ability to work in a stressful environment without contributing to the stress. Candidate must be familiar and comfortable using social media platforms including Facebook, Twitter and Instagram. Bilingual candidates preferred. Start Date: July 30th VISTA Pre-Service Orientation in Philadelphia. August 2nd start date at Central High School. To Apply: New Urban Arts is accepting applications through May 11, 2018. Please submit cover letter, resume, and a writing sample to info@newurbanarts.org. 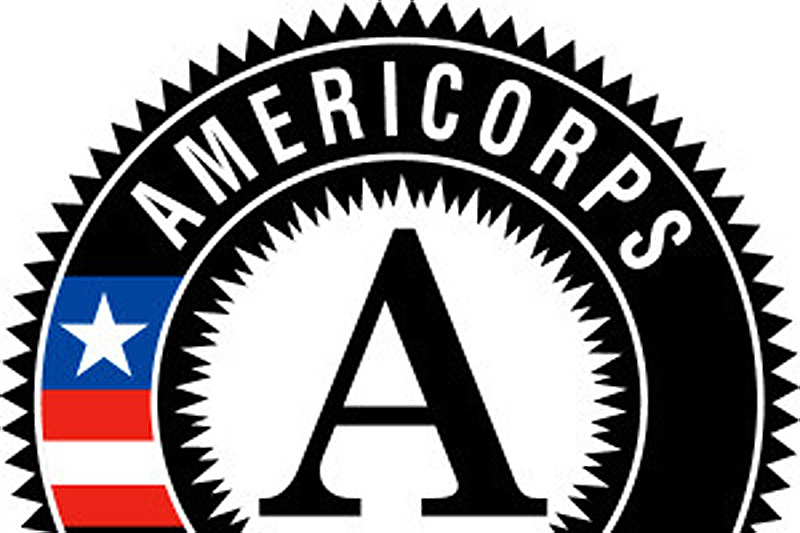 Any selected candidate will be required to submit an application (including two completed references) to myAmeriCorps and be accepted for service by VISTA.